The People for the Ethical Treatment of Animals, or PETA for short, is celebrating the rescue of a chimpanzee it claims spent about 16 years in "solitary confinement." 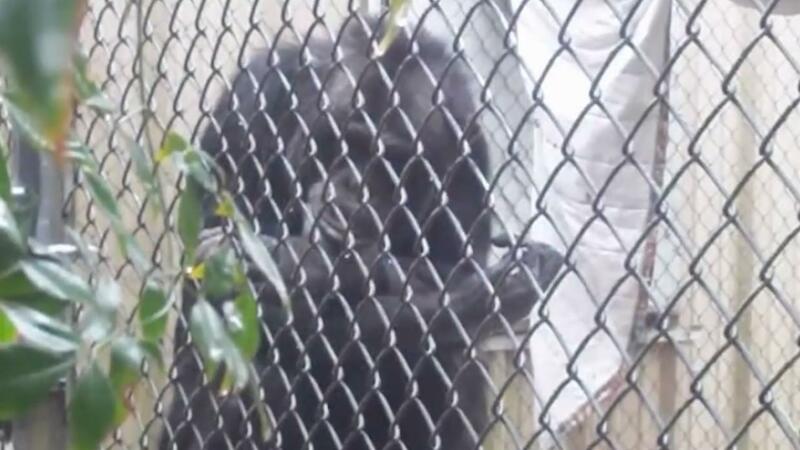 The animal named Joe, who used to appear in films and TV, was recently transferred to the Save the Chimps sanctuary in Florida after PETA sued his former owner, the Mobile Zoo in Alabama. As the Washington Post reports, the legal action was based on a change to the Endangered Species Act, or ESA, last year which strengthened the protections of captive chimps. As such, PETA writes, "Our lawsuit alleged that the roadside zoo violated the ESA by isolating Joe from other members of his species and denying him the complex environment that he needed." The group describes his home there as "a horse stall and a barren enclosure no larger than a dog run..."
PETA withdrew its legal action, however, in exchange for Joe's release. According to Molly Polidoroff, the sanctuary's executive director, the animal is adjusting well and has even made new friends.